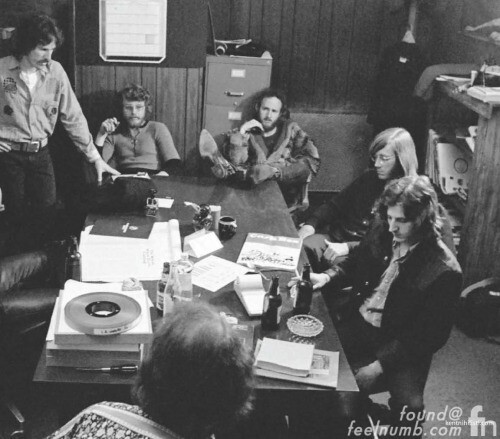 Frustrated with Elektra Records, the band organized a makeshift recording studio at their space enabling them produce and record in a more comfortable and relaxed setting, while at the same time avoiding the expenses of a professional studio. 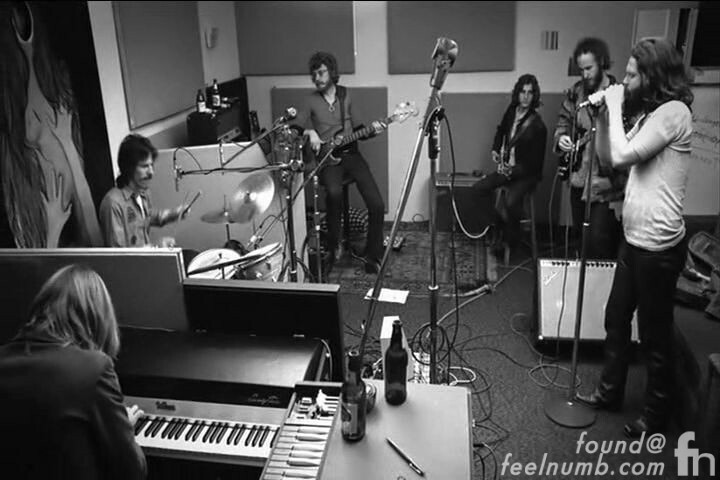 A mixing console, previously owned by Elektra, was installed into the upstairs of the Workshop, while studio monitors, microphones, and keyboards were set downstairs. 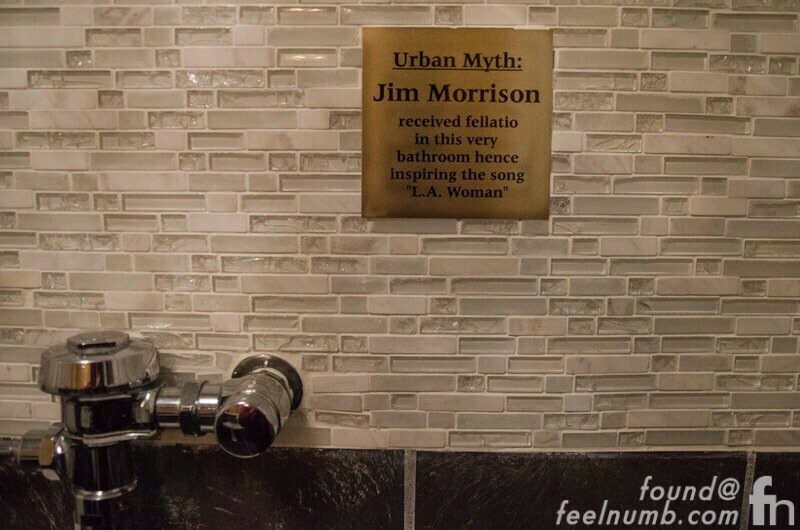 To compensate for the lack of an insolated vocal booth, Morrison recorded vocals inside the bathroom with the same microphone used on The Doors’ infamous final tour. 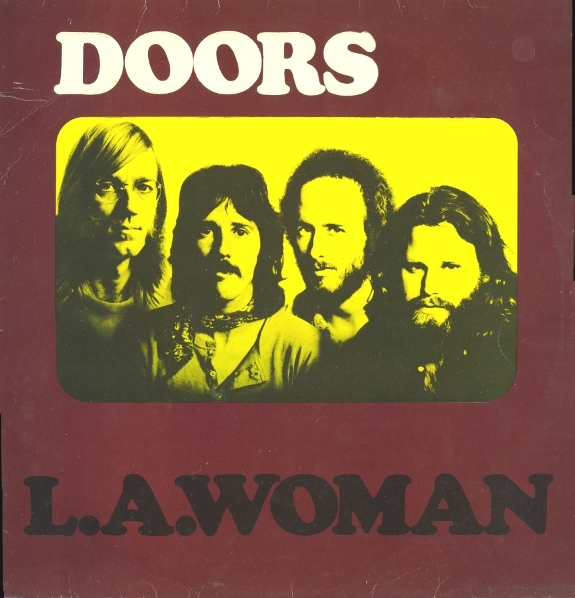 Check out these awesome photos of The Doors working and recording at “The Doors Workshop“. 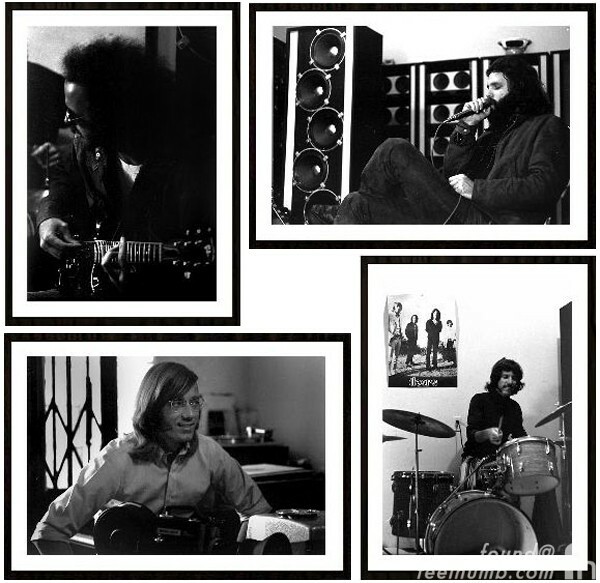 This is what “The Doors Workshop” upstairs offices looked like. 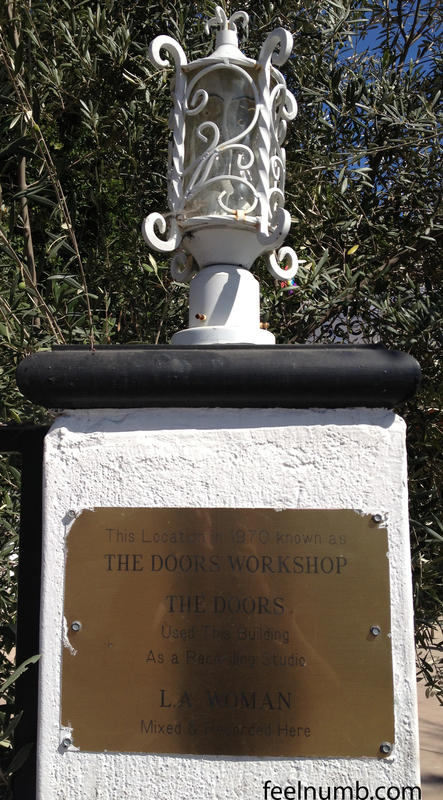 Since it’s days as “The Doors Workshop” the building has changed ownership quite a few times. For a long time is was known as the “Benvenuto Cafe” which closed in 2008. 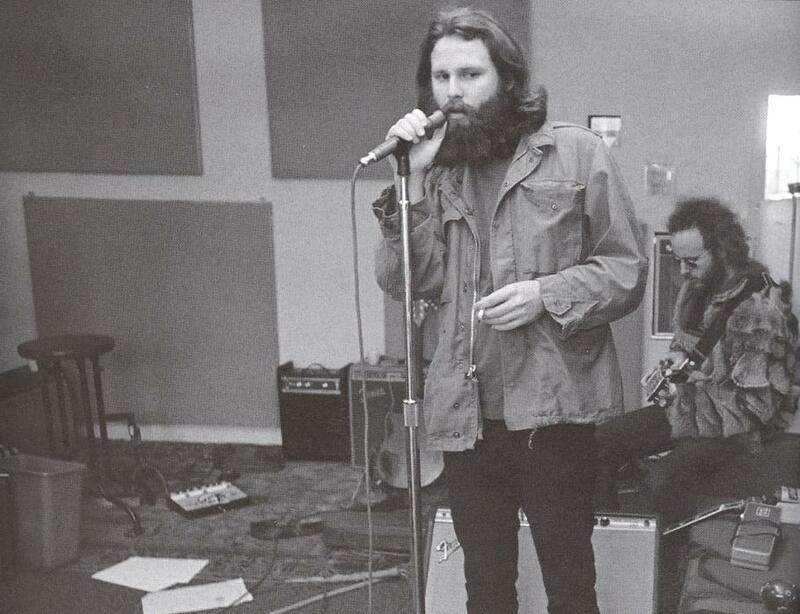 This is what it looked like from outside and from inside the infamous Morrison vocal booth. It then became a restaurant named “Mexico Restaurante Y Barra” and went out of business in 2010. 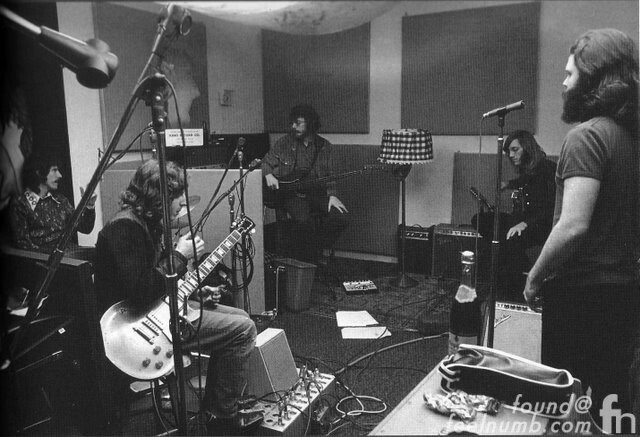 This is what it looked like from outside and inside the Morrison’s vocal booth. It then became “Forbidden Bar & Lounge” & “L’ Scorpion West” both of which have also closed. Although they did have this cute little sign in the bathroom. Here is the plaque that still sits outside of the building celebrating it’s Doors history.